The SP-2 Smart Mig is a 220VAC/30A Single Phase MIG Welder that can be setup for two different base metals: Aluminum and Silicon Bronze or Steel. It uses pulse technology for welding . 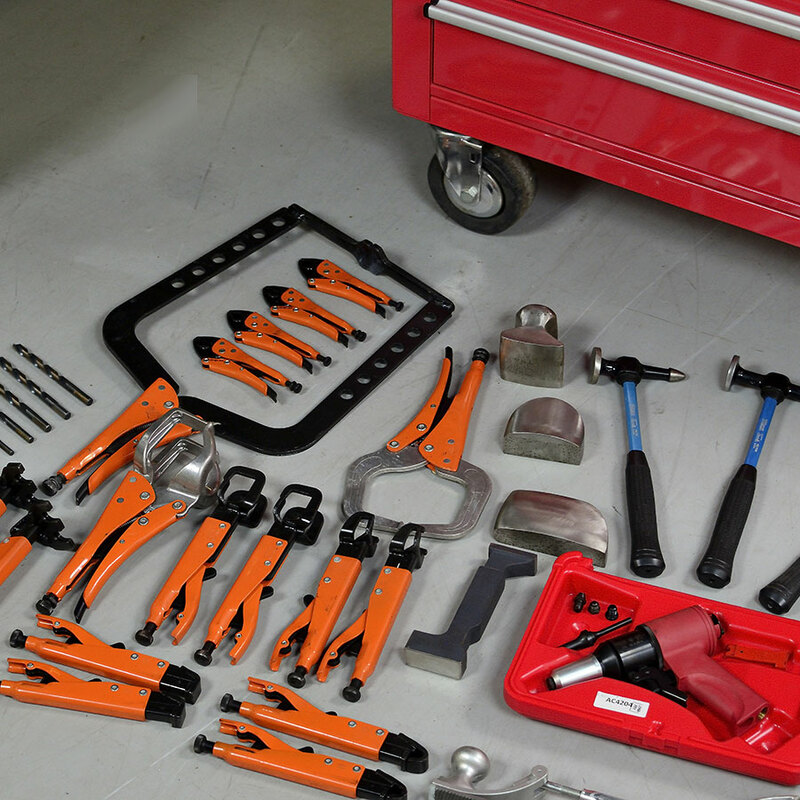 The Rotunda Specific Hand Tool Kit was developed directly with Ford Paint and Body Repair Engineering and includes all the hand tools required to work on aluminum vehicles. Aluminum hand tools must be used specially on aluminum vehicles only and must never be used when working on steel body panels. Pro Spot's PR-5 Rivet Gun System applies and removes rivets as a cold joining process on heat sensitive materials, like aluminum. With today's vehicles, and all the different sized rivets used in collision repair, the PR-5 uses magnetic dies to assist in quick rivet changes. Station is equipped with a portable welding cart and all the accessories necessary for aluminum dent pulling. The Dust-Free Sanding System is a patented, unique system that safely and quickly extracts dust from sanding and collects it directly into a disposable bag. The system does not contain any electrical motors or parts which prevents explosion risks from heat and potential sparks.